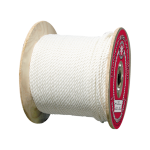 Three-strand polyester rope. 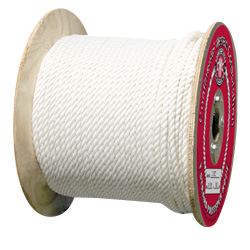 Durable rope offering high strength, less stretch than nylon and good resistance to abrasions and UV rays. Also resistant to rot, mildew and a variety of fluids and chemicals. Well-suited for marine and industrial applications.